Miracles occur in every religion and they certainly take various forms. From a Catholic perspective, a miracle is defined as an extraordinary welcoming effect wrought by God that surpasses the power and order of nature. 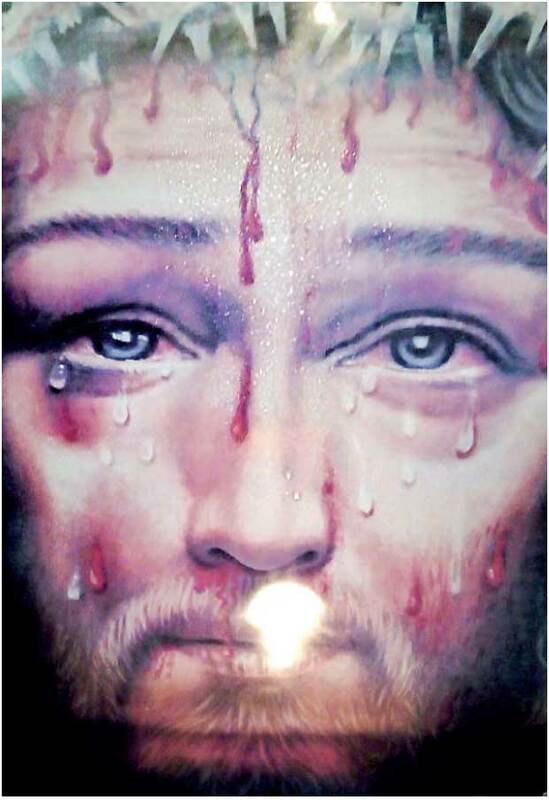 Such an incident was recently reported from St. Anne’s Church in Wattala, where droplets of sweat were seen running down the forehead of a picture of Jesus Christ. In an interview with Daily Mirror, the Parish Priest of St. Anne’s Church, Rev. Fr. 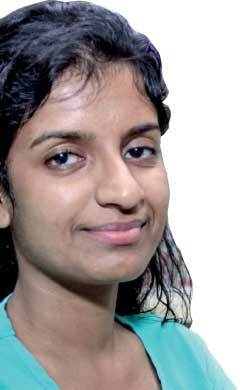 Sanjeewa Mendis said the incident that took place in the church was a miracle. The Parish Priest said the droplets of sweat had been flowing from the picture since October this year. Rev. Fr. Mendis said the picture of the Saviour, which was kept in the house of a woman named Niromi Amarasinghe, was brought to the church after the supernatural occurrence continued. “The picture was brought to Sri Lanka by a group of priests who came here 12 years ago from Chalakkudi, India. The priests had distributed several pictures to the Catholics of the area who attended prayer sessions. However, the tear-like droplets had been flowing in the picture that was kept in Niromi’s house,” the Parish Priest said. Meanwhile, Niromi said she witnessed the droplets of sweat rolling down the forehead of the picture of Christ from time to time. Fr. Mendis also said a similar incident had taken place in the parish of His Holiness Pope Francis, where droplets of blood was found from a statue of Jesus Christ. “Following the said incident, the blood had been tested to check whether it was similar to the blood group of Jesus Christ. Subsequently, it was proved that the blood shed from the statue was of the same blood group as Jesus Christ (AB+),” Rev. Fr. Mendis said. St. Mary’s Church at Nayakakanda – Mother Mary appeared inside the church Opinion of laymen Ushantha Rajapaksha, a layman who flocked to witness the miracle at St. Anne’s Church in Wattala, said the droplets of sweat that shed from the forehead of the image were actual tears of Jesus who was crucified and resurrected. Another layman, Shirani Nirmala, said it was a symbol to signify that Jesus Christ was dwelling among us. “I could not believe my eyes when I was praying before the image. It was miraculous. My faith in the Lord deepened,” she said. “If we understand the reality that Jesus is asking us to change our lives, we will be able to experience a genuine transformation within us and through the grace of God,” said Mrs. Pinto, another layman.